As its name suggests, this decrease is made in the return pass of the row. 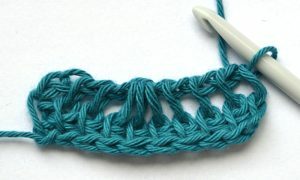 When working a return pass, you normally close your stitches by yarning over and pulling through two loops across the row. 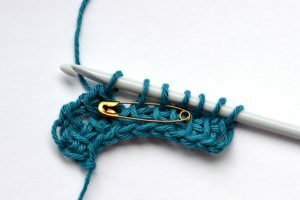 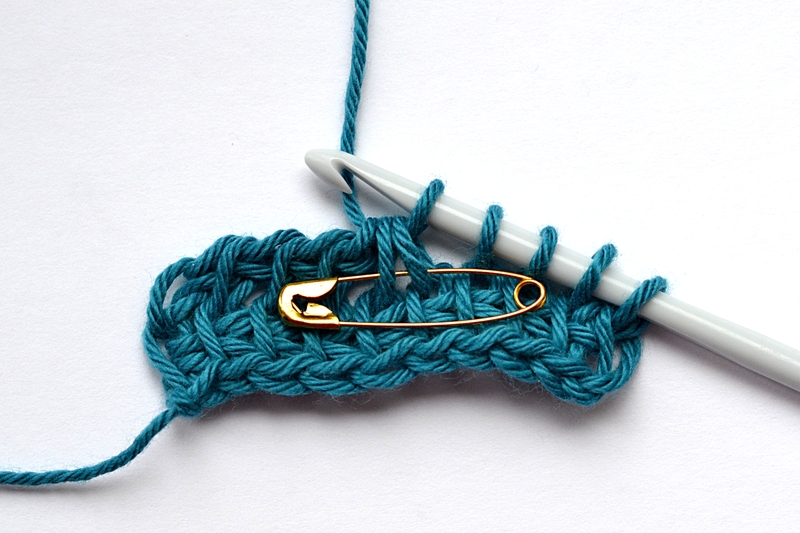 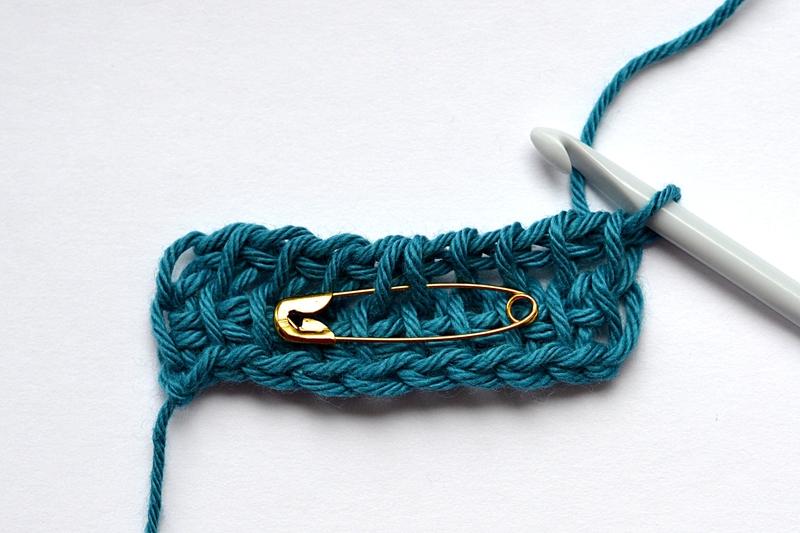 However, when you need to decrease stitches in the return pass, you will pull through more than two loops. 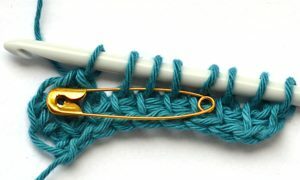 Note that I you are to work this two-together decrease at the start of the return pass, you will need to yarn over and pull through two loops on the hook (instead of the regular “yarn over pull through one” normally worked at the start of a return pass). 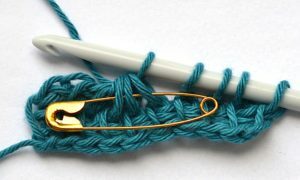 If you are working from my written instructions, I sometimes request to mark the stitches in question in the forward pass, so all you will need to do is to pull through the loop on the hook and the marked stitches in one motion. 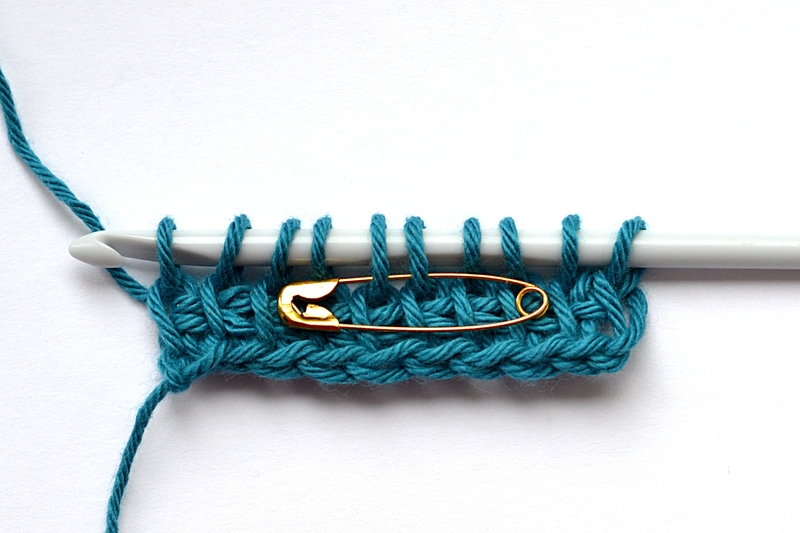 Do not forget to treat these two loops as ONE stitch in the forward pass of the following row, i.e work under both bars together!